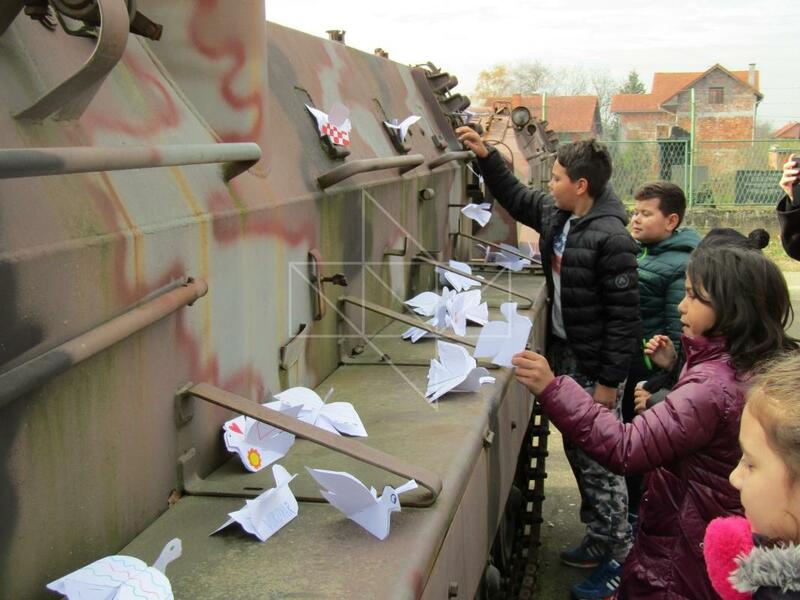 On 17th of Noveber, on the occasion of the Remembrance Day of Victims of Vukovar, third and fourth grade students from Nikola Andric Elementary School visited our Centre. They participated in workshop where they learned about peace, made and decorated paper doves. At the end, doves were hung to decorate outside exhibits.